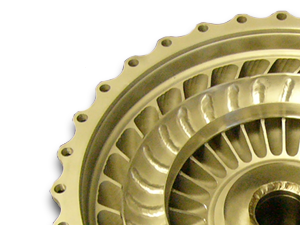 Another first in Racing Torque Converter Technology from Neal Chance. The new, All Billet Aluminum Bolt Together Converter is 6 lbs lighter than our Steel/Aluminum Bolt Together for dramatic weight savings right at the end of your crankshaft for maximum acceleration gain. Not only is it lighter, the Full Billet Converter also offers State of the Art 5 Axis CNC Precision Machined Pump Fins and Stators for the Ultimate in Efficiency and Power Transfer. Available in 8″, 9″ and 10″ models in many different configurations and stall speeds. 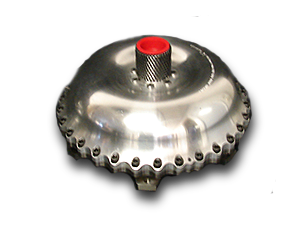 NCRC has drive options to fit ANY racing transmission on the market today – including many “yet to be released” drives. The full billet design has many benefits, for starters it’s approximately 12 to 20 lbs lighter than other bolt together converters, and it’s 6 lbs lighter than our aluminum/steel bolt together models. That’s a LOT of rotating weight, and it’s right where it matters hanging off the end of the crankshaft! It also features fully CNC machined fins for outstanding repeatability and consistent fin profiles.